England strolled to a seven-wicket victory against Sri Lanka in the third ODI thanks to captain Eoin Morgan’s half-century in a rain-affected encounter. England’s ODI captain Eoin Morgan and Test captain Joe Root put a strong Sri Lanka Board XI to the sword as they led their team to an emphatic 43-run victory on the DLS method. 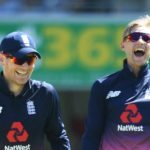 Eoin Morgan admitted it was a tough call to leave Joe Root out of England’s side for the T20I series decider against India on Sunday. 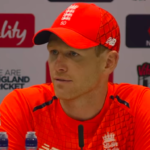 Eoin Morgan reflects on what went wrong in their loss to India whilst interacting with the press at Old Trafford. Australia’s new dawn was plunged into darkness when they were beaten by 242 runs by a rampant record-breaking England in the third ODI, at Nottingham. The new-look Australian team under Tim Paine were exposed by the spin of Moeen Ali and the pace of Liam Plunkett to lose the first ODI by three wickets. 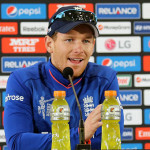 England captain Eoin Morgan has warned his team to stay focused ahead of their ODI game against Sri Lanka on Wednesday.